Huge news (say that in your best Bernie Sanders voice) in Seattle. 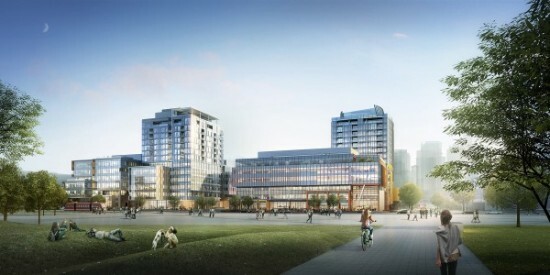 Google has plans to move its Fremont, California, office into a mixed-use four building campus in South Lake Union (SLU). The project was designed by Graphite Design Group with Runberg Architecture Group working as consultants on the residential portion. The property is on Mercer Street bounded by Fairview and Terry Avenues, south of the Museum of History and Industry, and east of the newly opened Allen Institute. The site, currently a surface parking lot, will eventually host four six-story buildings and two additional residential towers (each up to 9 stories tall). Google will move into all of the 607,000 square feet of office space for lease periods lasting 14 to 16 years. Also planned are 151 apartments, close to 14,000 square feet of retail space, and 780 parking spots. The design features large setbacks and is part of a $2.1 million woonerf (Dutch for a green street that prioritizes bicycle and foot traffic). 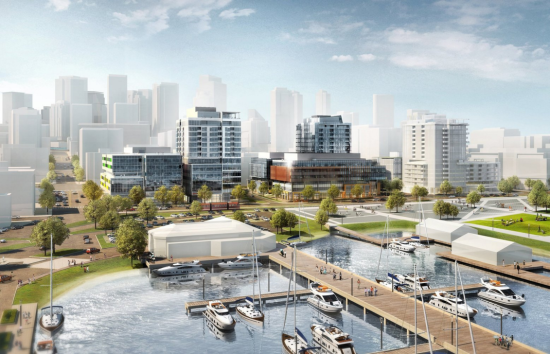 Developer Vulcan Inc. (owned by Paul Allen) is working with Google on the project. It’s an unusual move, as Vulcan tends to work with Amazon. Currently, there are about 900 Google employees in Seattle. The new office could hold up to 4,000 employees. Google also has an office in Kirkland with close to 1,000 employees working. “Vulcan will also contribute approximately $4.3 million in incentive zoning fees for affordable housing and daycare,” reported GeekWire. No word yet on the total cost of the project. Construction is planned in phases, with breaking ground slated for 2017, and an opening by 2019. 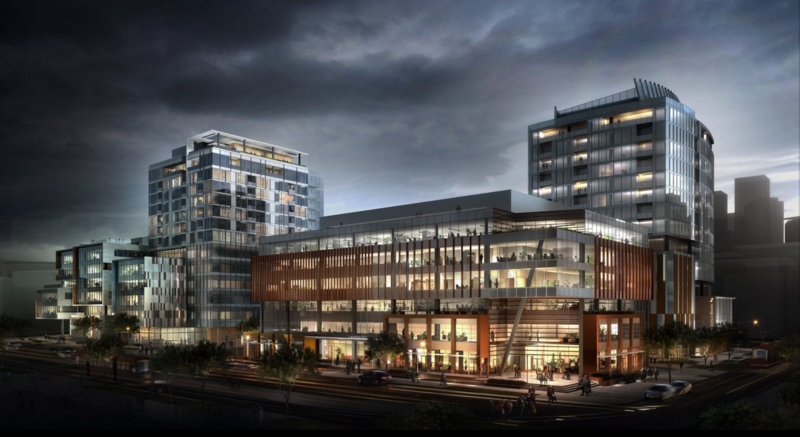 There has been a flurry of tech development in South Lake Union over the past several years that some fear is homogenizing the neighborhood. Amazon is nearby and in Denny Triangle, Gehry is designing for Facebook, and now there’ll be Google as well. Google Graphite Design Group Seattle South Lake Union Vulcan Inc.